We will analyze your company’s Strengths, Weaknesses, Opportunities and Threats. We’ll analyze your competitor’s and suggests ways to gain market share. After the initial phone consultation, most customers agree to have ZPL create a SWOT report. It is best if you provide us with your company profile / introduction, key competitors, current and target Countries , annual sales figures, and goals for the next 1- year, 2 years, 5 years. The more information we receive the more in-depth our analysis will be. ZPL SWOT reports are generally 5-10 pages long. The larger the size of the company, or the more complex the industry, SWOT report length and pricing may vary. 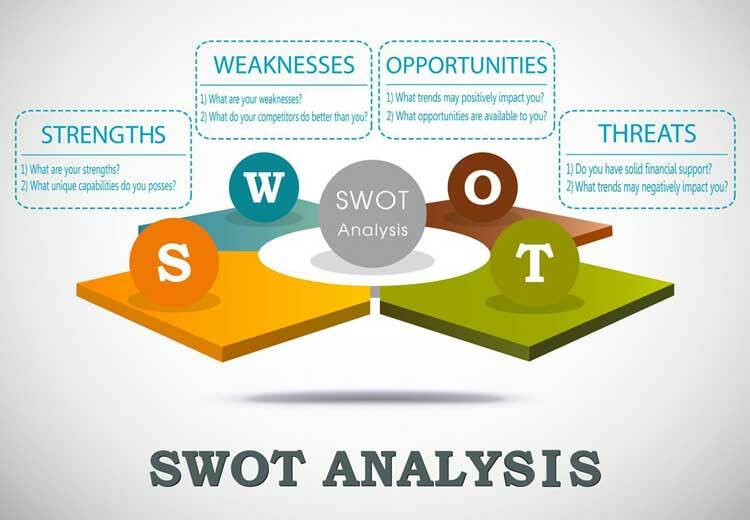 We do have starter package SWOT report rates. Tell us more about your company, company goals and targets, competitors today!